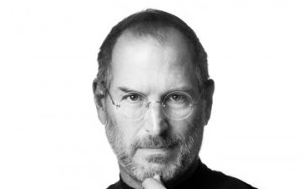 We are saddened to hear the death of Steve Jobs. He was a great inspiration and thought leader in the computing world, transforming computers into digital lifestyle devices. 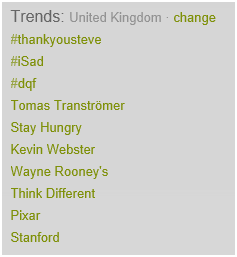 Right now a number of poignant messages are being passed around the web on Steve’s impact. 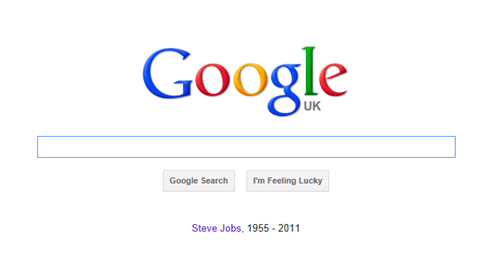 On Google search for Steve Jobs, you may note that as a tribute the Google Homepage is directly linking to Apple, see image below. 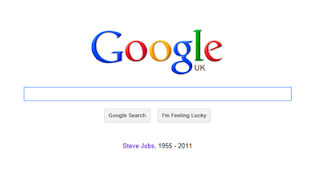 Google report that there are currently 10929 related articles on Steve Jobs on the UK web. As a tribute we would like to add to this number. The articles we recommend are listed below. We have also taken a few screen shots of the impact and we have added these below. 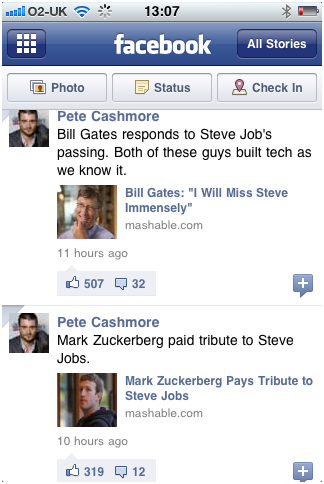 Pete Cashmore (Mashable) posts out news via Facebook, Bill Gates and Mark Zuckerberg pay tribute.